A mountain slope settled atop Darjeeling Hills towards the western side of the Kalimpong hills in the Teesta Valley, with magnificent view of the confluence of Teesta and Rangeet Rivers on one side and with Kalimpong Hills on the other side is Bara Mangwa. The Orange orchards at the places adds to the beauty. The name comes from the Lepcha 's language ,Bara Mangwa means " A big place of finger millet "
The Bara Mangwa village consists of few terraced farms and plenty and plenty of orange orchards. During riping season, numerous Himalayan birds assembles here to get their part. Placed wonderfully with these heavenly view Bara Mangwa Village is rapidly growing as a calm tourist destination along with Chota Mangwa and Tinchuley. This circuit of Bara Mangwa, Tinchuley and Takdah can be a very good alternative in your next North Bengal tour. With both side views and orange gardens and citrus plantations surrounding the small quiet village, Chota Mangwa is also rapidly growing as a hot tourist destinations. Chota Mangwa is settled just beaneath Tinchuley of Darjeeling Hills and a three to four days trip comprising of Tinchuley, Chota Mangwa, Bara Mangwa is quite popular among tourists who have been to Darjeeling and Kalimpong a few times.. Chota Mangwa is an eco village in the Mangwa hills with a population of 150 families living nearby. The marvelous view of Mt. Kanchenjungha and equally wonderful sunrise will definitely charm you during your stay at Chota Mangwa. The locals are mainly engaged in farming and the main produce is rice along with vegetables like squash, karela (not the one we usually know), with orange orchards almost everywhere in Chota Mangwa, Lemons are also grown here. How to Reach : At a driving distance of around 2.5 hours from the nearby railhead New Jalpaiguri (NJP) and 3 hours from Bagdogra , the nearest airport , Bara Mangwa offers excellent accommodation facility at Bara Mangwa Farm House and Darjeeling Eco Blossom’s Cottages, apart from this two major staying options, a few Home Stay are also available. A drive from NJP or Bagdogra through dense and green Mahananda Wild Life Sanctuary will take to you to Sevoke which is around 20 kms from Siliguri, from Sevoke, another 22 kms is Teesta Bridge and Teesta Bazar, from where your vehicle will start climbing the hills passing through the beautiful Bara Mangwa, a green village with step cultivation all around and magnificent view of Teesta river and valley and then through the Orange Garden Complex, which also falls within the Bara Mangwa area, from where you can pick the oranges of your choice at moderate price, a little climb will then take you through Serong, another orange village with 1500 family population and at last a right hand diversion from the main road with 1.5 km bolder road will lead you to Chota Mangwa. The main road continues to Tinchuley, another 20 minutes drive. The extended Balcony of Bara Mangwa Farm house is certainly going to charm you during your stay at Bara Mangwa. Such a magical landscape can also be a photographers delight. The Darjeeling Blossom Eco Tourism Complex will welcome you with its lovely cottages with almost all modern at moderate rates too. Tourist coming from Darjeeling side will have to take the Hill Cart Road upto Ghoom and then a left hand diversion to JoreBungalow and then again a right hand diversion from 6 mile will lead you to Takdah which is 9 kms from 6 mile. The distance from Takdah to Tinchuley is 3 kms and after arriving at Tinchuley, a right hand diversion will take you down to Chota Mangwa. The entire vegetation and forests in the area comes under the Senchal range where one can see the tall Dhupi (Coniferous Cryptomaria) and Pine trees through out the drive. Bara Mangwa is situated at a driving distance of 45 minutes from Chota Mangwa. Local Sight Seeing : A very old Monastery at Takling is a place to visit during your stay at Chota Mangwa. If you are not planning a stay at Tinchuley, this also falls under the must visit list, the lush green pine forest surroundings of Tinchuley is surely going to make you feel great. The age old Takdah Tibetan Medical Centre can also be visited which is only 3 kms from Tinchuley. Takdah also has a Forest Rest House which offers excellent accommodation facilities. The Rungliot Tea Estate is also a place to visit. The other important places to visit are Chota Mangwa – 12 kms, Mongpoo – 28 kms, 6 Mile – 18 kms, Ghoom – 29 kms, Sukiapokhri – 37 kms, Darjeeling -39 kms. Things to do in Bara Mangwa: Bird watching is a thing you are going to enjoy at Bara Mangwa, Chota Mangwa and Tinchuley, Tourists can also take the adventure of River Rafting at Teesta. Bara Mangwa is a place to sit and enjoy nature. A shot trip to Chota Mangwa and Tinchuley, two nearby major destinations can also be visited within short durations. Best time to visit Bara Mangwa: You can visit Bara Mangwa any time of the year. However, to see the oranges in full bloom, it is better to visit Chota Mangwa between October and early February especially during late November and early December. Lodging and dining facilities in Bara Mangwa: Both Bara Mangwa Farm House and Darjeeling Blosom Eco Tourism Cottages, Bara Mangwa provide excellent accommodation facility considering such location. 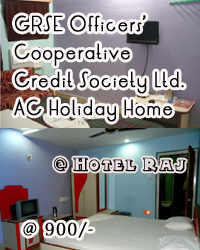 The rates are between 800/- to 2500/-. Food cost are 600/- for Non Veg and 500/- for Veg per day per head. Baramangwa Farm House is a rural community, which promises to be a new dreamland for nature and adventure lovers. An ideal place to experience rural life in Himalayan Kingdom. This project is dedicated to serve the tourists to inherit the Himalayan Home Stay with traditional hospitality. There is a guest house with two (2) specious rooms with modern attached bath in the company of a panoramic view of Kalimpong and Sikkim hills, and a ‘birds eye view’ of colourful river ‘Teesta’. Simple and adequate facilities are offered such as running water and regular cleaning. One will be served food four times a day. The Farmhouse has its own cultivated regular crops and various seasonal vegetables. Also some seasonal fruits are produced in the project area. It has Poultry, Piggery, Dairy and a small goat house. A good supply of waters is allowed to flow to run the project smoothly. Also, one can be offered special meals where the flavour of North Bengal and Darjeeling hill can be smelt.. The Project includes programmes that minimize the adverse effects of traditional tourism on the natural environment, and enhance the cultural integrity of local people. Besides all, an unmatched panoramic beauty of the surrounding hills wraps up this project. One can find out an outstanding rejuvenation background with some dignified off beat activities here.. The Project desire and solicit interested persons to visit the place to witness the community development work initiated and enjoy the beauty of the surrounds. Tourists will get here a homely ambiance. Nature and adventure loving people, who want to spend a few days in a hilly rural area, away from the tough and clumsy city life, can take a deep breath for a while.. The Lepcha 's language , word's meaning " A big place of finger millet " Bara Mangwa is famous for d Orange orcahrds, which is just 12 Km from Teesta National HIgh Way - 31 A . There are two points for entry to the complex 1) Teessta Bazar and 2) Takdah . Darjeeling Blossom Ecotourism Bara Mangwa Complex comprises of a extra ordinary holiday destination with Kanchan Junga view , Nathulla Range view , Sun Rise View , and surrounded with green hills of Kalimpong , Sikkim and darjeeling and blue sky lies above with Teesta and Rangit flowing at the bottom. Darjeeling Blosom Eco Tourism Cottages provide excellent accommodation facility. Food cost are 600/- for Non Veg and 500/- for Veg per day per head.